1.1 The webshop terms and conditions set out in this document (this “Agreement”) apply to the use of our webshop (shop.anton-paar.com) and all online purchase orders made in it. Before you can make an order on our webshop; you must open a webshop account by registering on our webshop. 2.1 We are ANTON PAAR SWITZERLAND AG, a stock company, with its registered office and place of business at Pulverhausweg 13, 5033 Buchs, Aargau, registered in the Handelsregister des Kantons Aargau with Registration number (REA) CHE-115.162.356. 7.1 The prices for our products are the prices set out in our webshop valid at the time of your order and are quoted EXW Anton Paar GmbH, Anton-Paar-Straße 20, 8054 Graz, Austria (Incoterms 2010). Any value added taxes or other taxes or duties, insurance, freight and shipping costs for the delivery will be itemized on your respective order documents separately. Prices quoted on our webshop cannot be combined with offers or discounts. 7.2 Payment can be made in Swiss Francs only. Payment shall be deemed to have been effected on the date at which the amount in question is at our disposal. (b) call in debts arisen from this or any other transactions and charge default interest amounting to 1.25 % per month plus turnover tax for these amounts beginning with the due dates, unless we prove costs exceeding this. Title to the products will pass to you upon the date of delivery, provided all outstanding sums owed by you to us have been fully paid by then; otherwise title is retained by us until all due sums are fully paid. 7.6 You are not entitled to withhold or offset payment on the grounds of any warranty claims or other counterclaims. 8.1 All shipments will be made to you to the delivery address provided by you according to delivery term DDP (Incoterms 2010), meaning that we will take care of shipping, handling, packaging, insurance and import duty registration to the delivery address you provide, and does not include unloading or subsequent handling. 8.2 We will arrange for dispatch of the items you have ordered according to the delivery times set out in the webshop. We may dispatch items you have ordered in one or more parcel(s). Depending on your destination, typical delivery times are between one to ten days from dispatch. All dates and times are a mere estimate. We will inform you about the dispatch and the estimated delivery date of the item(s) by email. Unless expressly agreed otherwise, this delivery time only applies to orders in quantities corresponding to the typical needs of an average household. 8.3 If you are not 100 % satisfied with the purchase of your ViscoQC 100 or ViscoQC 300 in the webshop, you can return the instrument within the first 30 days of usage and get a full refund excluding shipping, tax and handling charge. The 30 days period is calculated from the day, the delivery arrived at your premise. 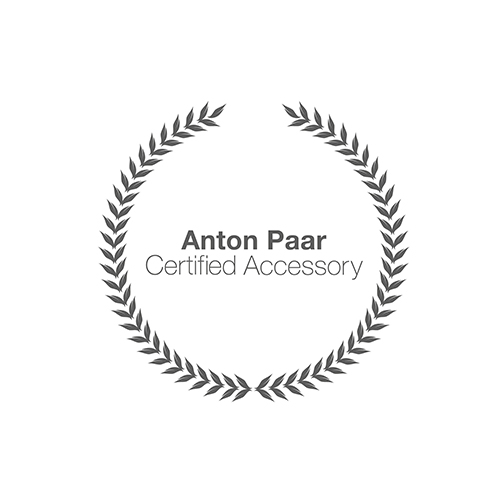 This Webshop Return Campaign is valid until further notice on the Anton Paar website shop.anton-paar.com. Any product you return must be in the same condition you received it and has to be sent back in the original packaging. 9.5 Exclusive remedy. This warranty shall be in lieu of all statutory warranty provisions. Except in cases of material defects known to us, all other warranties or conditions (whether express or implied) as to quality, condition, description, compliance with sample or fitness for a specific purpose (whether statutory or otherwise) other than those expressly set out in this Agreement are excluded to the fullest extent permitted by law. If we are for any other reason legally obliged to perform warranty obligations, these obligations, the limitations and conditions set out in this Agreement shall apply to the fullest extent permitted by law. 10.1 Outside the scope of the strict product liability, we shall be liable only if the damage in question is proved to be due to intentional acts or acts of gross negligence, within the limits of statutory provisions. We shall not be liable for damage due to acts of ordinary negligence. 10.2 Except for cases of gross negligence or intentional misconduct, the parties to this Agreement shall not be liable to each other for any indirect, special, consequential or punitive damages, nor for any loss of actual or anticipated profits, savings, business, down time or damage to goodwill. 10.3 Except for cases of our gross negligence or intentional misconduct, our liability for any and all claims, whether based on contract, tort, statute, indemnity or otherwise, arising out of or in connection with this Agreement are limited in their aggregate total to the value of the respective order. Any claims exceeding this limitation of liability are expressly excluded. 10.4 All claims must be brought before the competent courts within three years from the delivery, except in cases statutory law provides for a shorter period of limitation. 13.1 You agree to comply with all national and international laws that may apply to the purchase contract, as well as all applicable national and international (re-) export control regulations. 15.2 To exercise the right of withdrawal, you must inform us (Anton Paar Switzerland AG, Pulverhausweg 13, 5033 Buchs, Aargau, info.ch@anton-paar.com, Tel: +41 62 745 1680) of your decision to withdraw from this contract by an unequivocal statement (e.g. a letter sent by post, fax or e-mail). 17.1 Your personal details will be treated by us in accordance with the applicable data protection laws and regulations. For the transmission of your personal data, we use SSL (Secure Socket Layer) technology combined with a 2048-bit-key. This technology safely encrypts data transmitted. All payment methods offered by us are fully protected by this technology. The encrypted transmission of your data is indicated by a locked padlock or key icon on your browser’s frame. However, such measures might not be effective in preventing loss, wrongful use or alteration to the information in all cases. We urge you to act cautiously when using our webshop and any other web site. 20.1 This Agreement, the use of this website and any order or purchase made through this webshop are governed by the Swiss law, without its conflict of laws provisions. The United Nations Convention on Contracts for the International Sale of Goods does not apply. 20.2 A reference to a particular statute, statutory provision or subordinate legislation is a reference to it as it is in force in Switzerland from time to time taking into account any subordinate legislation for the time being in force made under it. 20.3 All disputes arising out of or in connection with the present Agreement, your visit to our website or webshop or any item purchased by you through our webshop, shall be subject to the exclusive jurisdiction of the competent courts of Buchs, AG, Switzerland.